The MerinoSnug Angaston Merino Wool Cardigan is a combination of last seasons Merimbula and the Deloraine cardigan and we've combined the two styles in to one! Not as short as the Deloraine, or as long as the Merimbula with better coverage around the neck and a kinder length to suit women of all heights. The knit is a blend of 60 per cent merino and 20 per cent possum, for a truly cosy experience, and it comes in four flattering shades, Black, Cashew, Quartz and Tango. Our model is wearing a size small. She is 180.3cm (5’11”) tall with a 87.6cm (34.5”) bust, a 68.5cm (27”) waist and 102.8cm (40.5”) hips. Product Composition: Australian Merino Wool 60%, Possum Fur 30%, Nylon 10%. Don't be disillusioned by the common misconception that woollen garments are difficult to take care of. Our Merino wool is unlike anything you have experienced before. Our wool is sourced from Australian Wool Network whose woolgrowers produce Australia's best 'modern Merino' wool. This 'modern Merino' is some the world's easiest to care for and we know you will want to keep your garments looking their best, so here are a few easy tips. The care label inside your garment is the best place to start to help retain your wool clothing’s as-new look and feel. 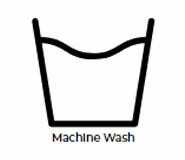 Some of our labels require hand washing while others may be machine washed. Let the label be your guide. Should a garment lose its shape, turn it inside out and place it in a small amount of water with a small amount of wool approved detergent for roughly 10 to 15 minutes. Press dry, then lay out flat and arrange back into the original shape. It’s a good idea to always aerate your clothes after wearing – allowing any moisture to evaporate, preventing odours and eliminating the need for excess washing or cleaning. Should you require further information, please contact us. Alternatively, you can download the Wool Care app available from The Woolmark Company. The most effective way to store your wool garments is to fold them, as hanging may cause stretching and some garments may lose their shape. 100% Australian Merino wool. First check the care label on your Hedrena garment. Hedrena garments are easy care—they can be easily machine washed and tumble dried unless indicated otherwise on the label. Use wool approved detergent. Never use bleach. Turn your knitwear inside out, separate dark and light colours before washing on wool (gentle) cycle 40c or cold wash. Spin. Line dry in shade or gentle tumble dry on low heat. Warm iron. Dry cleanable. Please note: We recommend white or off-white garments be hand washed and line dried. It is recommended that MerinoSnug garments be hand-washed in cold (30°C) water with a suitable wool detergent. Do not use a fabric softener. Do not rub. Rinse well in cold water. May be spun using the woollen cycle to remove excess water. Lay garment flat on a towel and dry in shade, and away from direct heat. Steam press on 'wool' (warm) setting. Garments labelled 'machine washable' may be machine washed on wool cycle. Garments must not be tumble dried or bleached. All MerinoSnug garments may be dry cleaned if preferred. MerinoSnug's eco fibre has a natural insect repellent but for extra protection use a commercially available insect repellent or try our recommended natural alternative – whole black peppercorns hung in a stocking or small mesh bag. Lavender and sandalwood are also popular natural alternatives as are our Cedar blocks and balls. It is recommended that Only Merino garments be gentle machine washed (wool cycle) with a suitable wool detergent. Do not use fabric softener. May be spun using the woollen cycle to remove excess water. Lay garment flat on a towel and dry in shade, and away from direct heat. Steam press on 'wool' (warm) setting. Garments must not be tumble dried or bleached. All Only Merino garments may be dry cleaned if preferred. FREE standard delivery for all online purchases over $50. Online purchases under $50 have a delivery charge of $9.95. We offer express delivery for a flat rate of $14.95. * While we endeavour to deliver goods to your nominated address within the time frames indicated, we cannot guarantee delivery times particularly during busy promotional and sale periods where some order dispatches may be delayed due to the additional volume. Merino & Co use the shipping platform SHIPPIT for all online orders. This allows us to choose the most efficient shipping method available and provides full visibility & tracking notification via email. Once your order has been dispatched, you will receive an email from SHIPPIT with tracking details and an estimated date of delivery. You will receive another notification when the parcel is on-board for delivery. If you have received a product that doesn’t match your order or is incorrect, damaged or faulty please contact us within 30 days of receiving your order and we will happily refund or exchange the goods. We will also reimburse the cost of shipping. We will always try to accommodate any reasonable request for exchange. Please contact us by email within 30 days of receiving your order and we will do our best to assist. Change of mind does happen. So, if you have changed your mind on your purchase and you would like to return for a refund or exchange the item must be unworn, in original condition and have the original tags still attached. All returns must be made within 30 days of receiving your order. Your refund will exclude any postage costs. We grow your clothes in Australia. Merino & Co is proudly owned by Australian Wool Network (AWN), Australia’s largest independent wool marketer, bringing woolgrowers, wool processors and consumers together. From bale to retail, AWN is committed to connecting consumers and growers by highlighting the origin of each of its products, providing customers with the opportunity to learn more about the provenance of garments and forming part of the Direct Network Advantage (DNA) program. Each garment boasts a QR-enabled DNA swing tag that showcases the woolgrowers who contributed to the making of the garment, their sheep and the environment in which the wool was grown. And make your clothes in Australia. We are Australia’s largest natural fibre knitwear manufacturer. 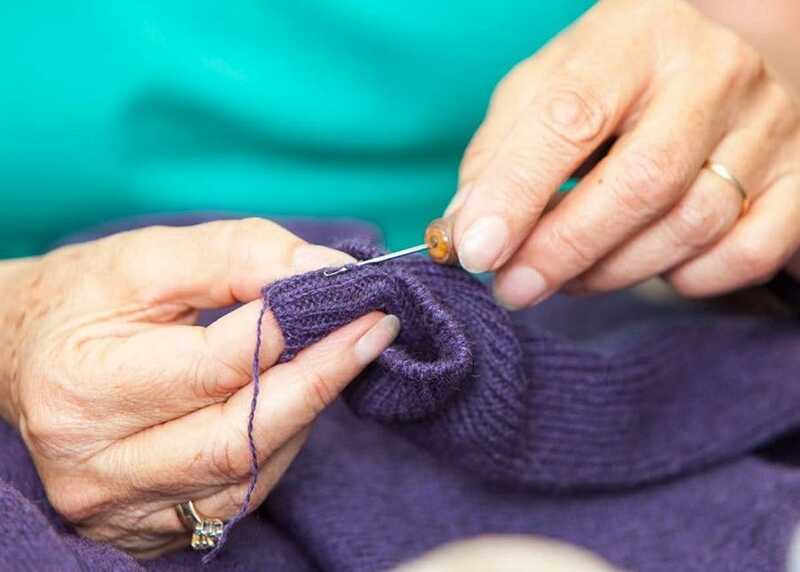 Manufactured in Carrum Downs, Australia, we utilise state of the art ‘whole of garment’ knitting machines to produce seamless natural fibre knitwear garments made of Australian merino wool and New Zealand eco fibre as well as 100% merino, alpaca and other natural fibre blends. The company’s labels include Hedrena, MerinoSnug and Only Merino. A purpose built manufacturing facility was completed in 2016 to accommodate the expanding number of knitting machines. So you can wear sustainable Merino wool clothing. One of the world’s oldest and most desirable natural fibres, Australian Merino wool, is grown by sheep using just fresh air, grass, sunshine and water. 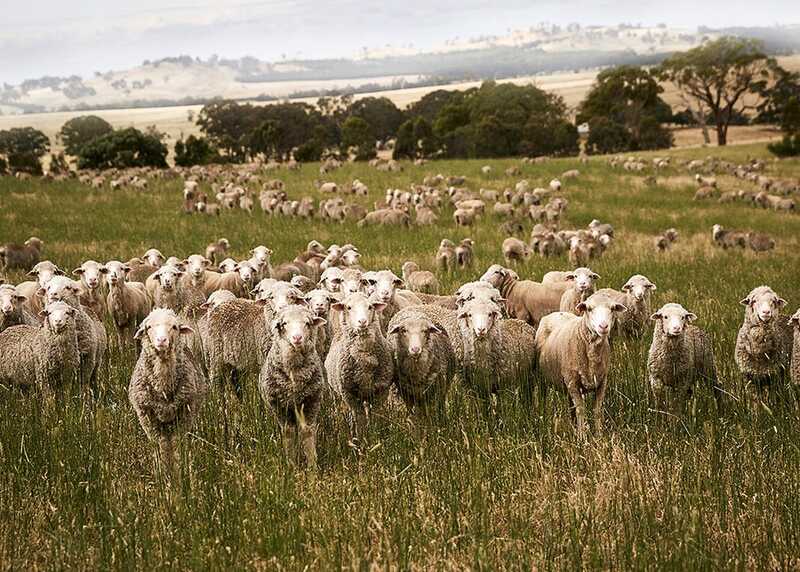 Modern Merino wool is grown by Australian Wool Network wool growers who are committed to preserving and protecting the environment in which their wool is grown for future generations. Additionally, Australian Merino sheep produce a new fleece every single year that is fully biodegradable, making wool a sustainable and completely renewable fibre. Measurements are shown in centimetres and inches. These sizes are an overall indication and vary depending on the design and weave of the knit fabric. This variation gives each style its different stretch qualities eg. rib, single or double jersey.